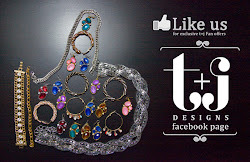 t+j Designs Blog: STYLE it: 1 Necklace, 4 ways to style it! 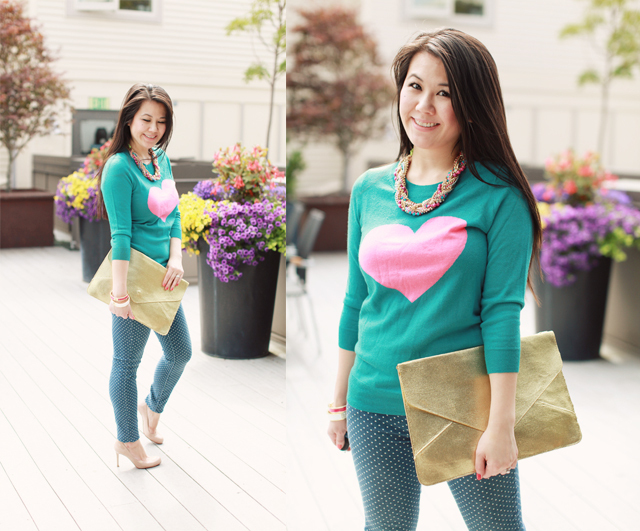 STYLE it: 1 Necklace, 4 ways to style it! We love statement necklaces but we also understand customer's concerns that wearing a statement piece can be hard to wear often so we're bringing you a new series that will show you how versatile statement necklaces can be! Tiffany and Jen are bringing you the first in the series with both of us showing you just how we style one of our newest designs, the Luxe Baubles Necklace! In Jen's first outfit, she pairs a perfectly matched skirt to the necklace. Pairing it with a simple black tank lets the focus be on the necklace on top but doesn't take away from the print of her skirt. In Jen's second look, she keeps it simple with a lightweight sweater and cargo skinnies. An easy outfit to wear on the weekend. 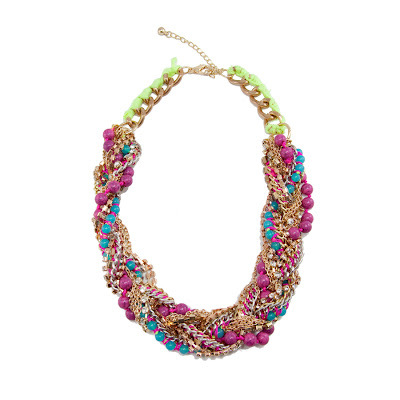 The necklace is the highlight and brings color to her neutral outfit. Pairing the necklace with a bright sweater, Tiffany lets the colors of the necklace and the sweater play off each other for a fun and bold look. And in Tiffany's second look, she paired the necklace with a button down blouse, letting it peek out from underneath the collar. This could easily be transitioned into an outfit for the office by pairing it with slim black trousers, going to show that statement necklaces work great for the office as well! Hope you guys got some good styling ideas for this and other statement necklaces. We would LOVE to see how you styled it too! Feel free to send any photos of you wearing any one of our statement necklaces, we would love to feature you on our blog!